On a recommendation of my sister's friend, Doug, I stopped at Carhenge. The farmer who began this is adding new variations off to one side. 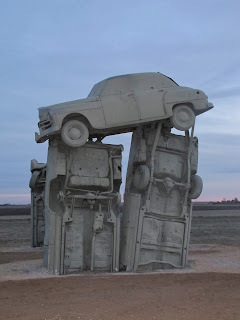 Worth a stop near Alliance, Nebraska.